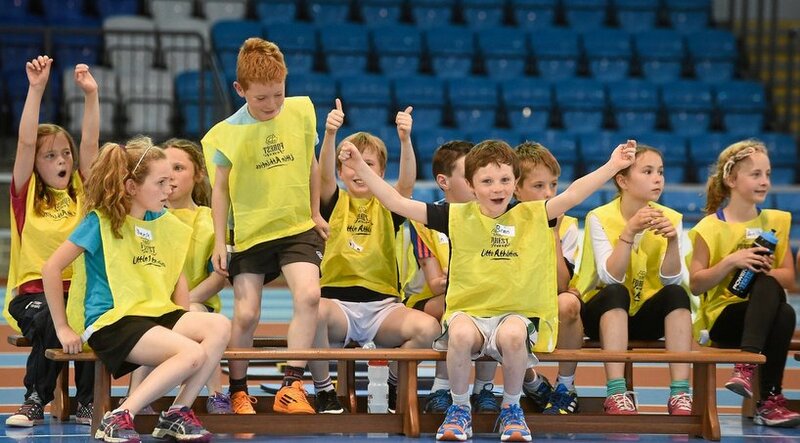 Athlone kids were treated this week to a hugely successful Forest Feast Little Athletics Jamboree event in Athlone Institute of Technology’s fantastic indoor facility. The fun-filled event, on Wednesday 25th, brought together nearly 150 athletes (5-12 years old) from local schools and athletics clubs to participate in an action packed day of activity. The young athletes were put through their paces by participating in various games, challenges and activities, which worked on their agility, balance and coordination - the three fundamentals of Forest Feast Little Athletics. “Forest Feast Little Athletics Jamborees are a perfect way for kids to get active and make new friends in a relaxed and fun environment. They introduce the important lesson that keeping fit can and should be fun – and instil a very healthy attitude to leading an active lifestyle. The Jamboree event comes on the back of the recent new partnership between Athletics Ireland and dried fruit and nut experts Forest Feast, who will support the growth of grassroot athletics in Ireland through the major sponsorship of Little Athletics. Forest Feast Little Athletics introduces young children (5-12 years) to athletics in a fun, engaging and non-competitive environment.